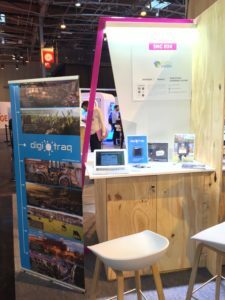 HidnSeek was at VivaTech conference in Paris. This was a great opportunity for the team to showcase what HidnSeek was about. And we wanted to Thanks SNCF Lab for their support. Viva Technology’s unique mission is to bring the world’s most innovative startups together with the major global players in digital transformation. For three days starting 30 June, an expected 30,000 entrepreneurs, corporate executives, venture capitalists and other investors will join us in a purpose-built environment in Paris. The goal: to provide a real-time platform for collaboration and a high-level stage for discussions around the impact technology has on both businesses and society.